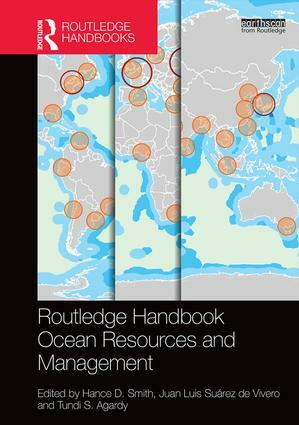 This comprehensive handbook provides a global overview of ocean resources and management by focusing on critical issues relating to human development and the marine environment, their interrelationships as expressed through the uses of the sea as a resource, and the regional expression of these themes. The underlying approach is geographical, with prominence given to the biosphere, political arrangements and regional patterns – all considered to be especially crucial to the human understanding required for the use and management of the world’s oceans. For details and to order, go to <https://www.routledge.com/products/9780415531757> and search on Routledge Handbook. This entry was posted in Resource Management, Watershed Management. Bookmark the permalink.